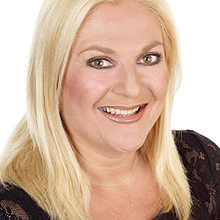 Dubbed "the hardest working woman in broadcasting" by The Guardian, Vanessa Feltz is a well known radio/TV presenter and tabloid journalist, with a natural ability to empathise with audiences and a warm-hearted style that has ensured her popularity over the years. A Speech Radio Personality of the Year recipient at the 2009 Sony Radio Academy Awards, Vanessa currently presents an early morning radio show on BBC Radio 2 and a mid-morning phone-in show on BBC London 94.9, as well as writing a weekly column for the Daily Express. After graduating from Trinity College, Cambridge with a First Class Honours degree in English, Vanessa began her career in journalism, writing columns for publications including She magazine, the Daily Mirror and the Jewish Chronicle. Having made the move into TV as an agony aunt on This Morning with Richard and Judy (describing herself as an "anti-agony aunt"! ), Vanessa was spotted by Anglia Television and invited to front her own Oprah Winfrey style daily chat show - The Vanessa Show (1994-1998). 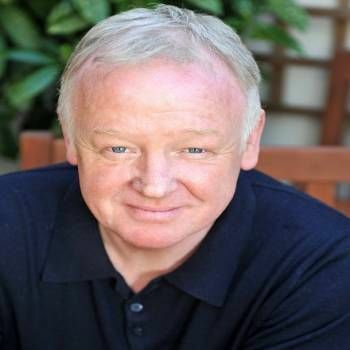 She then spent two years interviewing celebrities aboard The Big Breakfast bed - replacing Paula Yates - as well as hosting a year-long Sunday morning show on Talk Radio and a consumer affairs programme Value for Money (1995-2000). In 2001, Vanessa was a contestant on the first British version of Celebrity Big Brother and also made an appearance in a sketch in the first episode of the second series of the hit BBC comedy sketch show Little Britain, playing a fictional sliming club spokeswoman for "Fat Fighters". Comedy became reality in 2004, when she appeared in the second series of TV show Celebrity Fit Club in a bid to lose weight. In 2013, Vanessa was one of the fifteen celebrity contestants who participated in the eleventh series of the BBC's highly popular show Strictly Come Dancing, partnered with professional dancer James Jordan. Vanessa is a joy at any corporate event, whether hosting or speaking. To book her, contact Prime Performers using the online booking enquiry form or call us on 020 7251 8222.